MyAnimeList spoke with China's largest online literature platform about the global success of The King's Avatar, the webnovel medium, and their plans to expand internationally. Today, MyAnimeList has the pleasure of interviewing members of the OSMU (One-Source Multiple-Use) Operations team and Webnovel team behind The King's Avatar, a hit Chinese webnovel that has since been adapted into a twelve-episode animation and OVA. Joining the interview are Steven from the Webnovel team and Chiba and Ms. P from China Literature's ACG (Animation, Comics, and Games) Team. Together, they represent the ACG division of China Literature, China's largest original online literature platform. Nearly 7 million individuals have used one of China Literature's platforms to publish their works. A webnovel is a novel that is primarily published online in serial (chapter-by-chapter) form. Many of our readers associate The King's Avatar with Tencent, a company that has become ubiquitous in the digital entertainment industry. While Tencent did play a role in creating the animation, that doesn't give us the whole picture. How does China Literature fit in? Ms. P: China Literature runs a number of different webnovel platforms. These include Qidian.com, YuanQi Reading, and Webnovel.com. 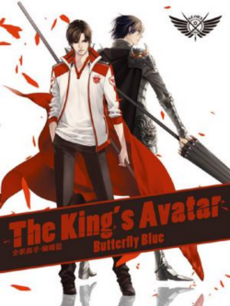 The original webnovel for The King's Avatar, which the animation is adapted from, was first posted to Qidian.com. The novel itself, together with the original copyright, are owned by China Literature. We collaborated with Tencent Video to adapt it into animation. As for the relationship between the two companies—Tencent is the controlling shareholder and a strategic partner of China Literature. Could you tell us a bit about The King's Avatar itself? Chiba: In a nutshell, The King's Avatar is an ultra-popular story set around the fictional online game Glory. It follows Ye Xiu, a professional Glory player who was forced out of the field, who then goes on to return to the pinnacle of the professional scene with the help of his top-tier gameplay skills. It's also worth mentioning that The King's Avatar is a good example of OSMU* being applied to a webnovel. In Japan and the United States, the source IP for animation is often a comic or light novel. For example, Marvel adapts comics into movies. In Japan, manga like Naruto are adapted into anime. Adapting webnovels, meanwhile, is actually fairly unique to China's ACG circles. Many popular Chinese stories and characters were first created in a webnovel. The mediums are often so closely related that our English webnovel community uses the phrase DAMNG (an acronym for Drama, Anime, Manga, Novel, and Games) to refer to this space. Season 1 of The King's Avatar had an official English release that was made available for free on YouTube. Episode 1 has amassed millions of views. Were you expecting the show to become so popular overseas? Steven: Sort of. The King's Avatar has a lot of fans both at home (in China) and abroad. In fact, the English-translated version of the novel has always been at the forefront of our international Webnovel platform in terms of popularity. It wasn't a surprise, then, that overseas fans also looked forward to watching the animation. So when we put the episodes on YouTube, we were definitely expecting to be welcomed by our fans. That said, we didn't expect the show to become as wildly popular as it did. This was a huge source of encouragement for us! We will continue to work hard to best serve our overseas readers and fans. How popular is The King's Avatar in China? Ms. P: In China, it has various adaptations already done or in the works, including more seasons of the animation, films, and so on. At our comic conventions, visitors will also see a lot of The King's Avatar-related cosplays. The animation went live in the first quarter of 2017, and it has achieved great results. Domestically, the first season has exceeded 1.1 billion views, and the OVA has received around 300 million. A live-action television drama is also currently being filmed. The webnovel has received nearly 10 billion hits in China. The novel has also been selected as one of the 20 most valuable pieces of Chinese web-literature. It isn't at all a stretch to say that The King's Avatar is one of China's single most popular online literary works of all time. Those are some insane numbers. How did it get so popular? Chiba: For starters, the novel is very well-written. The author, Butterfly Blue, has crafted a detailed world with twelve distinct professional teams and over a hundred characters that are each as vivid as the next. It's also very interesting to see the interactions between the teams and characters. Readers have even formed fan groups dedicated to specific teams and characters. Since China Literature has adapted The King's Avatar into so many different mediums, the IP is also able to permeate virtually every aspect of 2D culture. Ms. P: The webnovel itself already had a huge following to begin with. With each additional medium, more and more fans joined. Naturally, with so many new fans pouring in, the extent of The King's Avatar's reach continues to grow and grow. This is the OSMU model in action. You mention 2D culture. We already have an idea of how popular The King's Avatar is in China, but how popular are comics and animation as a whole? In the U.S., it can still be seen as childish—weird, even. Is this the case in China? Chiba: The number of ACG fans in China is quite large, and it has been increasing every year. High school students aged 15-18 make up the majority of this fanbase, accounting for about 60% of the total. Early ACG culture was viewed the same in China as it was in the United States. It was considered childish, something that only kids were supposed to like. 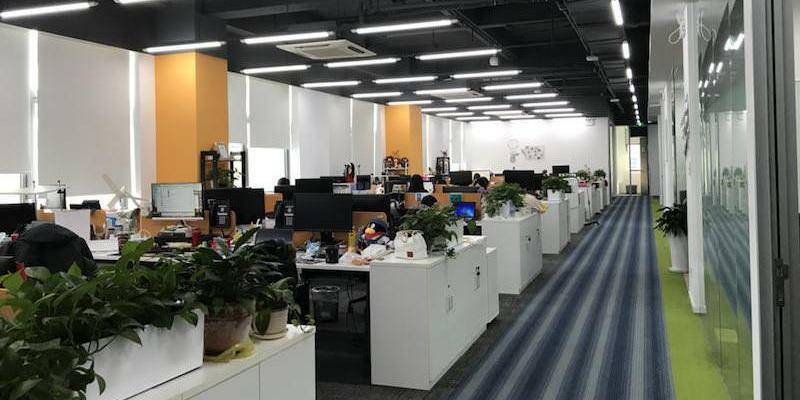 With the continuous growth of the Chinese ACG industry in recent years, however, more and more businesses and media outlets have recognized the economic and cultural influence that ACG can have. As a result, parents and society as a whole have gradually begun to accept ACG culture as being more mainstream. Do you have plans for expanding further into the international market? International broadcasts in the same vein as Fox Spirit Matchmaker, perhaps? Steven: Of course. Well over a thousand chapters of the The King's Avatar webnovel have already been translated into English, and we will work to continue bringing our animated works to overseas audiences. We hope to allow even more overseas fiction fans to enjoy the rich offerings afforded by our extensive library of IPs. As for international broadcasts—that's still in the talks. For the time being, Webnovel is our primary project. We are, of course, very open to the idea of cooperating with overseas partners to expand The King's Avatar and our other projects throughout the world. Could you tell us more about your Webnovel platform? Steven: Webnovel is a big part of our plans for global expansion. It is a reading platform that contains a large number of Chinese webnovels that have been or are currently being translated into English. There are plans to eventually host translated webcomics as well. We have also recently opened up a section for original English novels, which anyone can participate in. Since its launch in April, we've already received hundreds of submissions. For now, Webnovel focuses on North America, Southeast Asia, and India. If we expand into languages other than English, we will focus on the relevant locales. What's really cool about our originals section is this: if a novel proves to be very popular, it's possible that we may translate it into other languages, including Chinese. We may even use it as the source material for a comic or animation! On the topic of using webnovels as source material—why webnovels, specifically? How do they differ from Japanese light novels? Steven: In Japan, light novels will go into print first. In China, everything is moving online—Chinese users are much more inclined to read everything on their phones. With webnovels, a reader can also see comments about every chapter. This also leads to increased communication between readers and authors. More and more people in China are choosing to read on their mobile devices. Why bother bringing physical books around when you can bring an entire library along with you on your phone? Webnovel chapters also tend to be nice and short. It's kind of similar to the feel you get from Tweets on Twitter, so the environment is a bit more casual. These are the biggest differences between the two mediums. Convenience aside, are there any other advantages to webnovels as a medium? Steven: Yes, this form of novel offers many advantages. For one, it's uniquely suited for a mobile audience because it doesn't take much data to download a chapter of text. This medium also allows a story to be updated much more quickly. Once an animation ends, for example, users will often read the manga or novel to continue the story. Webnovels and their serial nature (i.e. regular chapter releases) makes doing that much easier. You don't have to wait for months or even years for the next volume to come out. The lower barrier to entry also allows for a wider variety of authors. There's an Asian proverb that goes something along the lines of "There are a thousand Hamlets in a thousand people's eyes." Everyone brings a unique perspective and their own set of experiences to the table. We believe this translates to richer and more imaginative stories and scenes. It's hard not to make comparisons between your Webnovel platform and something like Wattpad. What do you do differently from this potential competitor? Steven: Wattpad caters more towards a specific genre—romance. Meanwhile, Webnovel spreads its focus over a wider set of genres. Also, because we have a fee-based system, authors who write for us can start making money right away. They don't have to wait for a publisher to come knocking before they can start doing that. So long as an author has the desire to write and can guarantee regular releases, we provide them with a platform with which to do just that. As mentioned before, we also have the capability to adapt a webnovel into other mediums. Finally, I understand that there's an event going on at Webnovel right now? Something to do with The King's Avatar? Chiba: Yes! May 29 is the birthday of The King's Avatar's main character, Ye Xiu. In order to thank our fans for their support and love for the IP and Ye Xiu himself, we put together this event. The activity is split up into several stages. First, readers from all around the world can come to our app and earn points for this event by voting, sharing, or simply checking in. When a certain number of points has been achieved, a corresponding reward is unlocked. For example, one tier makes the entire The King's Avatar novel free to read for a limited period of time. We will even invite the author of the novel for a live text interview on June 1. At our last tier—once 100 million points have been reached, we will celebrate Ye Xiu's birthday by projecting Ye Xiu onto the side of the Citigroup tower in Shanghai. Outside of Webnovel, we also held an event at Comicup, the largest comic convention in China. There, we made Ye Xiu the subject of our booth. Visitors to our booth were able to send Ye Xiu their birthday wishes and earn some awesome prizes. Wow! Projecting Ye Xiu onto Citigroup tower? In the middle of Shanghai? Chiba: Yes. We actually had quite a few options. For example, we considered the Canton Tower in Guangzhou, the Hangzhou Tower, and the tower of the Shanghai Aurora Plaza. After much discussion, we ended up choosing the Citigroup tower. The building is located along the bank of Shanghai's Haungpu River. The area is booming and offers a high level of exposure. When we announced our decision, many fans outside of Shanghai were pretty jealous. (Laughs) So hopefully, for his birthday next year, Ye Xiu can appear in many places around the world. Maybe even somewhere like New York! Chiba: Producing an animation is a long and complicated process, so we can't confirm the timing of the second season just yet. What I can tell you, however, is that production is proceeding as planned, and all is going very well. I believe we'll have something for you in the very near future. Steven: As for an official English release, there is no fixed timeline at the moment. The positive response that the first season received overseas has attracted the attention of many parties, and we are moving to work something out as soon as possible. Original reporting by Congress for MyAnimeList. Interview has been edited for clarity. The event mentioned in the interview has since ended, with a total of 113 million points accumulated. Below is a short video of the Citigroup tower projection.